In a nutshell the main point I tried to get across was that I feel that many, if not most, people are working on the wrong things when it comes to their fitness, specifically too much cardio and flexibility, and not enough mobility and strength. I don’t want to go into all the reasons why right here (you can read the original article for that) but I made the statement that whatever your goals are (and yes that absolutely includes losing weight) if getting stronger is not part of your program you will most likely fail in the long run. I don’t think that’s an exaggeration at all and I have lots of clients and many years of experience that have informed that opinion. What I want to talk about today is why I think it’s so important. 1. Mental strength.Many times I see people that have, quite honestly, have had a history of failure when it comes to their goals. Many have tried to lose weight for years with little or no success. Many have started and stopped exercising countless times with nothing to show for the effort. When this happens there is certainly a toll that is taken on the body but it’s nothing like the toll that is taken on the mind. They feel they can’t do it. Exercise doesn’t work. Diet doesn’t work. They’ve failed and they walk around with that failure all day, every day. I won’t go into the legitimate reasons why they might have failed (thanks Planet Fitness) but they see others getting results and that leads them to feel that it’s not within their power to get the results they want. When you see someone who is coming from that type of background and watch as they start doing things they never thought they could do, you see a change occur. I can’t tell you how many times a client has seen the word “Squat” on their workout sheet and told me, “I can’t do that.” I just tell them, “Sure you can,” and show them how to do the version they can do. You see, over time a squat to a high box becomes a squat to a lower box and that becomes a squat without a box, etc. What happened there? They got stronger and they realized they can now easily do something they thought they could NEVER do. Now what happens? As this realization hits their mind they start thinking that, “ Maybe I CAN do this”. Let me tell you this. Once the mind starts believing that you can do something, the world opens. 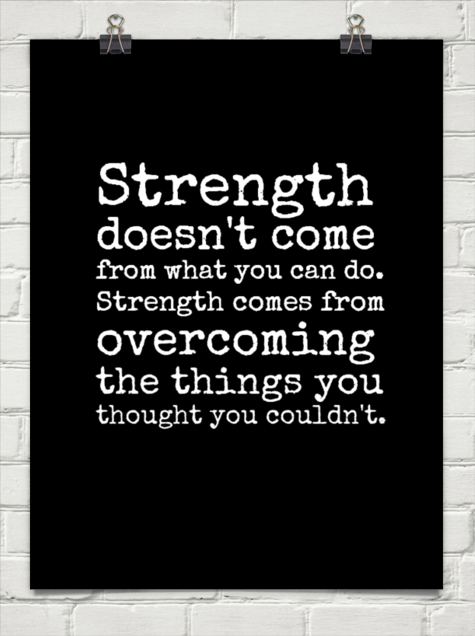 You’ve gotten stronger. I had a client doing deadlifts one day. When she first started a few months prior she was doing a 15 lb. kettlebell. Over time she started doing heavier and heavier weights and soon graduated to the 45 lb. bar. The weight continued to get heavier and one day after her last set she asked me how much was on the bar. (She never wanted to know before her set.) When I told her it was 100 lbs. she nearly cried in shock. She came to me because she wanted to lose some weight and feel better. If I told her that within a few months she’d be lifting 100 pounds or more on a regular basis she would never have believed she could. Is there a price you can put on this? 2. Physical strength.Quite simply, do you want to be able to function in life? Do you want to be able to carry the clothesbasket up the stairs? Do you want to be able to play with your grandkids? I don’t care if you can touch your toes easily, that won’t help you carry the groceries in from the car. You might respond by saying that strength won’t help you if you’re a runner. Well, you’re wrong about that. When your foot hits the ground you produce force, which allows you to push off and stride forward. What happens when you get stronger? You produce more force, which allows you to cover more distance and RUN FASTER! What else happens? 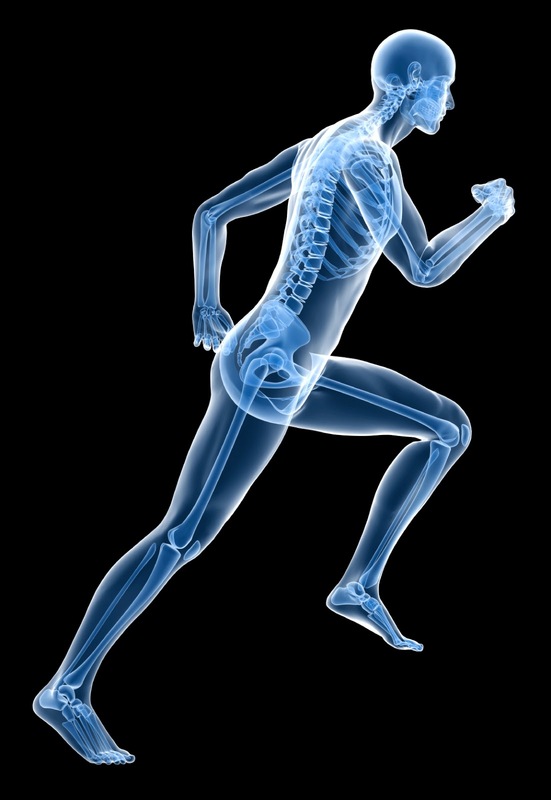 The stronger you are the more resistant you are to injury and if you know runners like I do, that is a huge issue. 3. Improved movement.Life is really all about movement and strength can help you move better. How many times do you hear about someone who puts out their back picking up a pencil? Well, it wasn’t that pencil that threw their back out. It was a lot of bad movement that put constant strain on the back and the pencil was just the last straw, so to speak. What proper strength training does is take a basic movement pattern and load it. Let’s take the example of picking a bag of groceries up from the floor. This movement pattern is known as a hip dominant pattern. This means that the hips and the muscles surrounding them drive the movement. Well to put it nicely, many people have pretty poor hip movement. What that means is that each time they pick something up they are putting unnecessary strain on certain muscles. Their back in this case. What we do is teach someone the most basic hip dominant movement. Once they can perform this movement well we make it a little harder, whether by changing the exercise or by adding weight to the movement. The reasons for this are many, but in this case it teaches someone to perform the movement well in adverse circumstances, which will translate to that person performing the movement extremely well in everyday circumstances. Guess what that means when it comes to picking up that pencil or your grandson: No injury! 4. Improved conditioning. I’m going to be as plain about this as I can be. If you do a working set of squats during your workout (by a working set, I mean one that’s not a warm-up) and you’re not breathing heavily afterwards YOU ARE NOT WORKING VERY HARD. I don’t mean to burst your bubble but that’s the truth. Strength training with intensity is in many ways the best conditioning you can do. People ask me about cardio all the time. What I like to tell them is that just because you’re not walking on a treadmill doesn’t mean you’re not exercising your heart! Obviously that’s important. The heart is the second most important muscle in the body! (After a set of HUUUUUUGE biceps). As I said before, if you’re lifting weights and not breathing heavy in the slightest after each set, YOU ARE NOT WORKING VERY HARD! In other words, strength training done correctly is ABSOLUTELY exercising your heart. As a bonus you also get stronger, move better and get more confidence from it as well. You can’t say that about 30 minutes on the treadmill. 5. Better appearance. OK. I can talk all I want about better function and strength, etc. but in the end the thing that most of us want from exercise is to look better. Well, strength can help with that, too. As we build strength, what else do we build? Muscle. 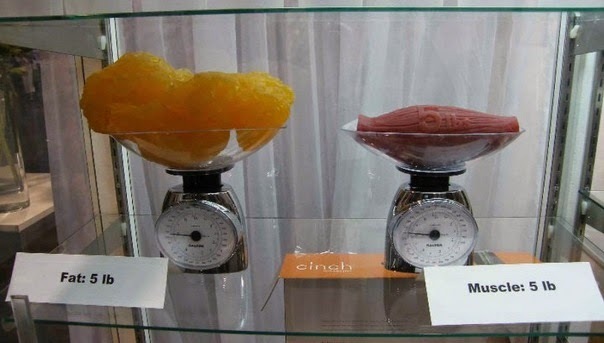 Did you know that muscle weighs more than fat? What does that mean? Well, it means that if you gain 5 pounds of muscle and lose 5 pounds of fat, you will get smaller and leaner and look better! Also, since muscle is more metabolically active your metabolism will go up making it easier and easier for you to continue to lose fat if you choose to do so. Again, all the cardio classes in the world will not help you do this. What about the thing many women are concerned with: getting too big. Well, the primary hormone that aids in muscle growth is testosterone and women have, on average, less than 10% of the testosterone that men have so in reality it’s just not all that feasible that you are going to get too big. If you feel that you are, I’d say that the vast majority of the time it’s your diet that is going to be the culprit here, NOT the strength training. So let’s see. Strength training will improve your mental strength, your physical strength, your movement, your conditioning and your appearance. That’s a pretty convincing argument to me. I’ve said this before, but my clients that have embraced this philosophy have ALWAYS gotten better results than those that haven’t. It’s that simple. Let me know what you think and have a great day! I Help People Discover Their Strength!